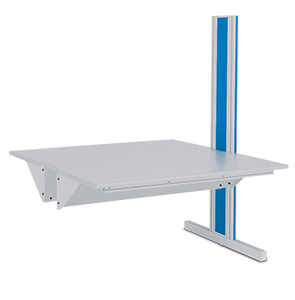 Dimension 4 Ergonomic Workstations are the most versatile and useful workstation modules available. The system easily expands to meet growing needs through the addition of accessories and more modules. 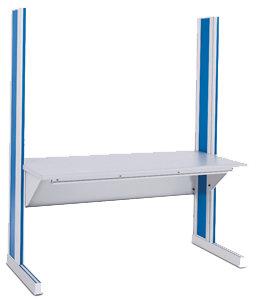 Our “Basic” units are available in Single-Sided or Double-Sided workstation configurations and are easily customized to meet a company”s exact needs. And, with their intelligent design, Dimension 4 workstations can be quickly reconfigured any time your requirements change. 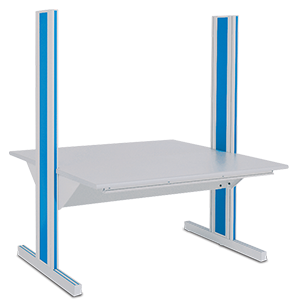 As with all IAC workstations, Dimension 4 Modular Workstation components are ergonomically designed to ensure maximum worker safety, improved efficiency and greater productivity. Upright Heights: 36", 48", 60", 72", 84"